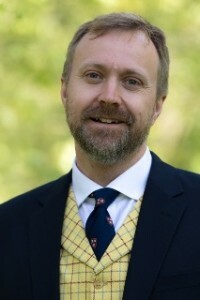 Mr. Matthew Raggett has assumed office as the tenth headmaster of The Doon School. Mr. Raggett brings with him his vast experience in international education which spans over twenty years in various capacities and countries. Mr. Raggett grew up in England and did his Bsc. In Math and Applied Physics from the University Of Newcastle, a PGCE in Education from the University Of Worcester and went on to do an MBA in Educational Leadership from Charles Sturt University, Australia. His tryst with education began with Yarm School in U.K. as a Physics teacher in 1995. From Yarm he moved to Vienna International School as Head of Physics and later to Pearson United World College, Canada. In the years to follow, besides teaching he handled pastoral and boarding life of students in United World College, Singapore where he was a House Parent and later in Kings College, Madrid where he was Boarding Head. Before coming to Doon Mr. Raggett was Principal of Secondary School of Leipzig International School, Germany for the last seven years.